You’ve decided to get the kids a dog. Great! 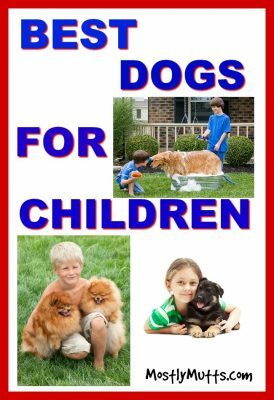 Now it is important to find the best dogs for children. There are many things to consider. We’ll help you with the information you need to make the best choice. Don’t get a dog to teach the kids responsibility. The dog deserves an owner that is already responsible, not one that is learning on him. Okay, so you’ve decided that you are getting a dog for all the right reasons. But how do you determine which are the best dogs for children? There is no clear-cut fool-proof answer to that but armed with the right facts, you will be on the right path to a good choice. Larger dogs can easily knock into a smaller child, pushing them to the ground. 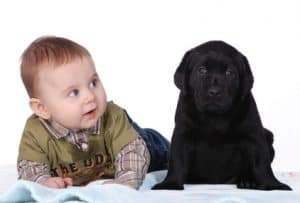 Though most kids will simply get back up, ready for more, some children will become frightened by this doggy enthusiasm. 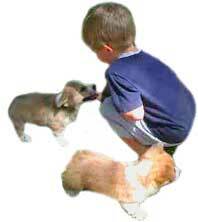 On a similar note, small dogs can be injured when a rough and tumble child falls onto them. Try to match the size and energy level of the dog to your child. Sometimes it is just better to put off adding a dog to your family until your child is a bit older. Can there be anything cuter than a puppy? YES, a puppy and kids, romping, rolling, running and playing together. But, puppies are also usually rambunctious, untrained and time consuming. Do you have the time to devote to obedience training and housebreaking? Are you prepared for the possibility of chewed furniture and shoes? Puppies are best suited to households where adults are home most of the day to see to their needs. Raising your kids and dog together is a neat experience and can create a strong loving bond between child and dog as long as the parents have the extra time to devote. Consider an adult dog also. Many of these more mature dogs have had some training, perhaps have previously lived with a child and have come through some of the rambunctious stage. They are usually calmer than a puppy and their temperament has already been established. Best dogs for children need to be ready (although maybe not thrilled) to participate in tea parties, dress-up and maybe even some nail painting sessions. Kid’s dogs should have lots of energy to withstand hours of play. In short, the best dog for children needs to be a superdog because he’ll have the awesome responsibility of being a super best friend to the best kid in the world, YOURS! 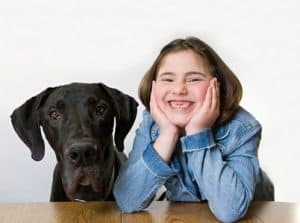 Although there are many popular dogs that are known to be good dog breeds for children, everyone has their own idea on child friendly dog breeds..
– Shelters are full of many wonderful dogs needing homes. Some shelters are very good and have workers and volunteers that work with the dogs to determine their personalities and suitability for children. Unfortunately, there are bad shelters who just bring the dogs in and send them out without much human contact or concern. Even the good shelters are often so understaffed that the dogs do not get as much interaction as they should. 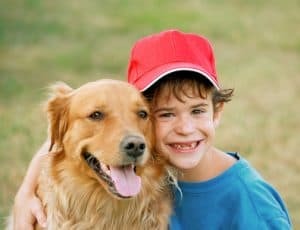 – Although I firmly believe rescue groups and good shelters are the best places to look for a dog for your kids, private breeders can be another option, provided you check out the breeder carefully to determine they are not simply running an operation that continuously breeds their dogs to obtain as much profit as possible. If they are repeatedly advertising puppies for sale, chances are the breeder is a puppy mill, which is to be avoided at all costs.Dogs from puppy mill operations are born to mothers that are usually always caged and provided minimal care and contact. They are there as “breeding machines” to make the breeder profit. These dogs are usually never bathed, groomed, vetted or exercised. The moms are often discarded when they can no longer be profitable. The puppies born at these operations are likely to be sickly and have congenital defects. The Amish are huge contributors to the puppy mill industry. Behind their pristine perfect homes with the perfect green meadows, they will have a building full of puppies and pregnant females, living in their own waste and their feet will never be allowed to touch or run on that perfect grass.A responsible breeder will care about the breed and their puppies, caring for them within a family situation, where the will have family interaction. They will make sure their pups are vetted and vaccinated before leaving and obtain a complete reference and Vet check on potential adopters. 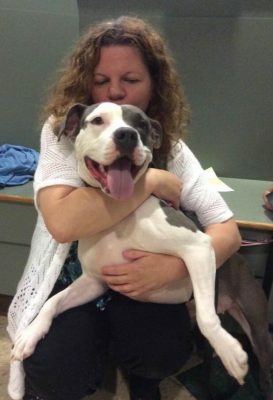 Many good breeders will also require their adopters to sign an agreement to return the dog if for whatever reason they can no longer keep him. They care about their dogs! Also, keep in mind, a mutt can be the best “breed” you could ever add to your family. And, dogs with several breeds in their genetics are often healthier than purebred dogs since they will not have too much of any one breed, along with the genetic predisposition of that breed’s health problems. With the proper planning and research, you can find your best dog for your children. Whether it turns out to be a purebred, mutt, large dog or small dog, he will give you many happy years of love. The best dog for children is different for everyone, depending on your situation. He will never stop loving you. Teach your children to respect and care for their dog in a loving way and he will be their best friend for life.